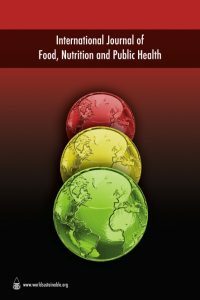 Purpose: This paper assesses the dietary intake and adequacy of micronutrients from complementary foods among infants under two years of age. Design/methods: A cross-sectional study was conducted on 400 healthy infants aged 6–24 months. The studied sample was proportionally allocated and randomly selected from eight primary health care centres in Alexandria. Data about socioeconomic characteristics, medical history, breastfeeding practices, and dietary intake were collected from the mother of each infant. The weight and height (length) of each subject were measured. Findings: An inadequate intake of all micronutrients was found in a considerable percentage of children. The highest percentage of inadequacy was found among children under 12 months of age with respect to iron and vitamin C, and among children aged 12–24 months with respect to thiamine and calcium. Most infants had fair breast feeding practices (88.3%). The rate of stunting, wasting, underweight for age, overweight and obesity was 37%, 12.8%, 16.7%, 19.5% and 18.1% of infants, respectively. Social implications: Nutrition education was recommended for mothers about the health and nutrition of their infants and preparation of safe nutritious complementary foods. Originality/Value: This is the first study done at a sub-national level addressing micronutrient adequacy among infants in Alexandria, Egypt.